At a time when movie theaters are facing increased competition from in-home rental services like Netflix, Tim Massett decided to renovate an 86-year-old theater in the city’s 5 Points area and open a single-screen 200-person venue that offers beer, wine and non-traditional movie food. Massett, a Jacksonville native, had run a theater in Minnesota. 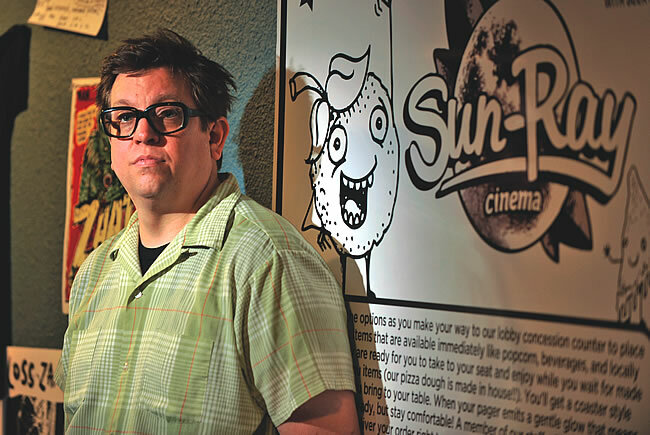 He opened Sun-Ray Cinema in December 2011 after raising $100,000 from private investors and crowd-sourcing. Massett says the theater, which presents a mixture of new releases and cult classics, sometimes struggled to draw a crowd and took in $500,000 in its first year. “It takes time; it’s word of mouth,” he says. Massett plans to add a second screen and eventually open a multiscreen Sun-Ray Cinema on Jacksonville Beach.